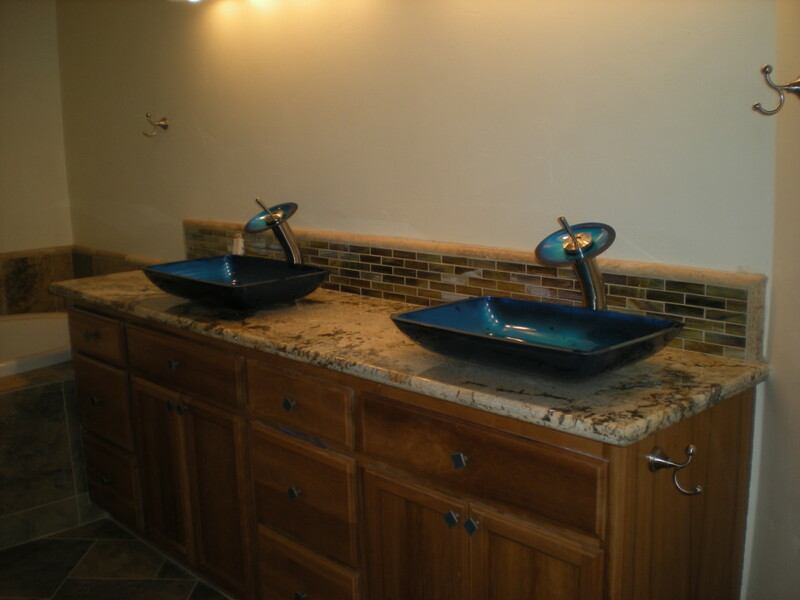 This tile turned out to have such a rich, beautiful look! With a straight set 20-in. x 20-in. tile on the lower two-thirds of the custom shower and 12-in. x 12-in. one-third diagonal set on top. 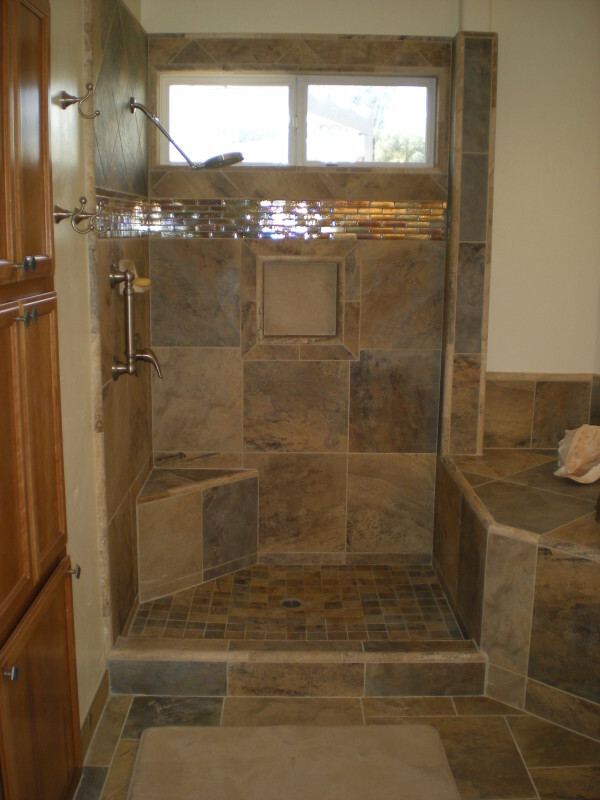 A shower like this was a work of art that would complement just about any Redding home. The feature attraction was the glass tile. 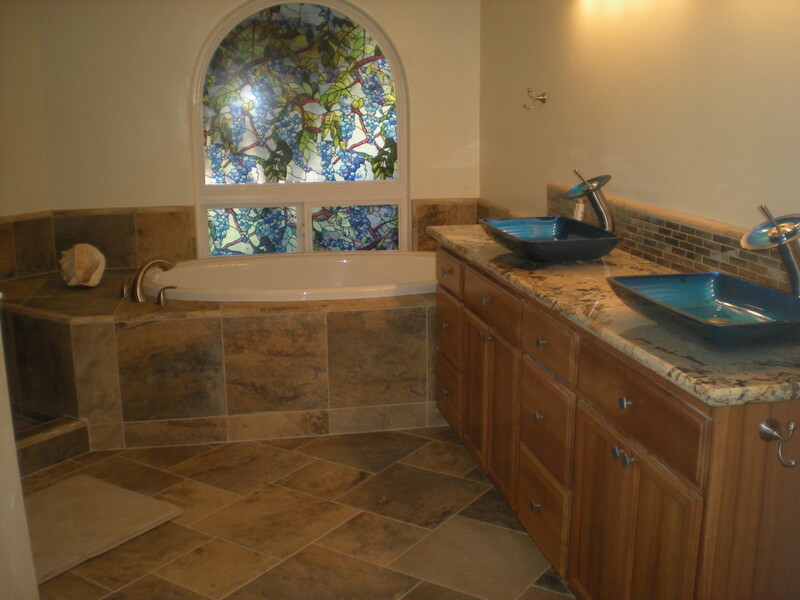 It went well with the stained glass window and cascading waterfall faucets which sat on a beautiful slab of pre-fab granite. In the shower, the corner seat was a nice touch for the of the homeowner and their guests. It was installed after the wall tile was set completely. Imagine that: no chance for water to get behind the tile to ruin your walls and shower! It’s completely encapsulated inside the shower floor pan. This bathroom project started off with a generic white body tiled shower and in the end it was completly tranformed. We absolutely loved it when the job was finished.